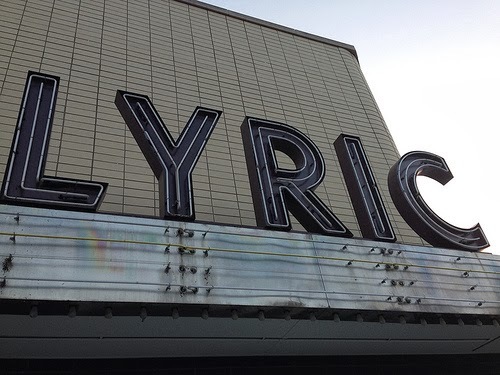 Marquee for the historic Lyric Theater - Lexington, Ky. 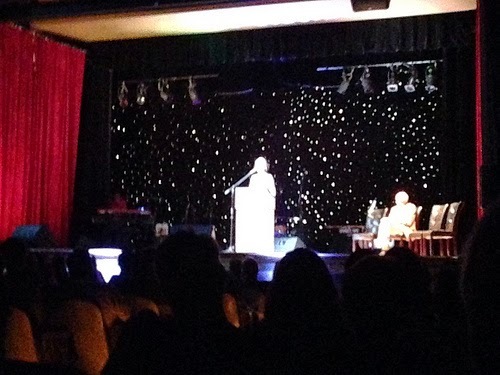 The seats at the historic Lyric Theatre in downtown Lexington were filled with people concerned and opposed to the "Vampire Road," a nickname for the proposed I-75 Connector between Nicholasville and the interstate in Madison County. "Off the Road!" was a fantastic rally featuring an incredible collection of Kentucky artists united "to celebrate Kentucky and oppose a proposed I-75 Connector road." Barbara Kingsolver, author and Nicholas County native, explained why she was there. "I'm such an advocate of the little wild places. The little places you can go again and again. They help you become stronger, truer, better people." She juxtaposed these "little wild places" as being as critical to our national psyche just like the bigger wild places such as the Grand Canyon or Yellowstone that we've made efforted so hard to protect. Perhaps this is because, as poet Eric Scott Sutherland remarked: "We find the muse in nature." 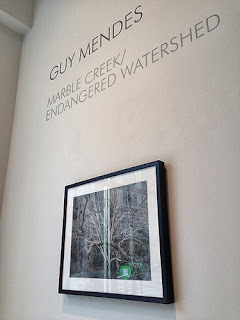 A collection of Guy Mendes photographs opened earlier in the evening at the Ann Tower Gallery at the Downtown Arts Center. Mendes' photography captures the essence and emotion of "Marble Creek Endangered Watershed" which is one of these "little wild places" which would be forever destroyed by the construction of the Vampire Road. The Mendes collection will remain on display until November 3. The Vampire Road exists because this proposed road has been proposed on multiple occasions, but "the plan just couldn't be killed" according to the lyrics of the Steve Broderson and Twist of Fate song, The Vampire Road. The music video was first shown at last night's event. And you can watch it here on the Kaintuckeean! Legendary Kentucky author Wendell Berry delivered a delightful resolution from the fictitious Buzzard General Assembly which gave a humorous yet serious sense of what is at stake. Berry stated that the Assembly "unanimously concluded and instructed me to tell you that they foreswear all rights and claims to the carrion, with the giblets and gravy thereof, that would be produced by said connector." The buzzards seem to prefer the more diverse palate offered in nature rather than on pavement. Richard Taylor, a former Kentucky poet laureate remarked on Kentucky's pioneer spirit which helped us forge into the wilderness in centuries past only to suggest that "it is time to give up our pioneer mindset to conquer and to consume." Professor Maurice Manning took a different, more spiritual tone: "I believe God made the world we live in. And destroying it is a sin."